Rejection, abandonment, molestation... these were just a few of the attacks that Marilyn Love Turner found herself enduring. Her painful childhood would lead her down a path to self-destruction that almost ended her life. 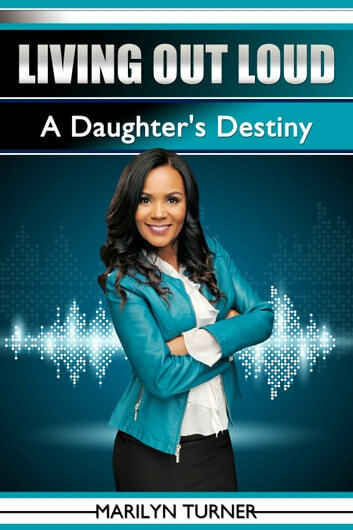 Prophetess Marilyn Turner takes the reader on her journey to destiny starting from her &apos;Turning point&apos; to her life now as a woman of God. She highlights her painstaking decision to give up and leave behind her love for acting and the lifestyle it afforded her, to answer the call to ministry. Her life wasn&apos;t easy, but her obedience propelled her towards her God-given destiny. Join Marilyn as she details her miraculous account of deliverance, healing and kingdom promotion. This jaw dropping and inspiring story will empower you to take inventory of your life and make the decision to &apos;LIVE OUT LOUD&apos; towards your destiny.